Inducing healthy first-time mothers at 39-weeks pregnant instead of waiting for them to go into labor lowers the risk of a cesarean delivery, according to a new study. 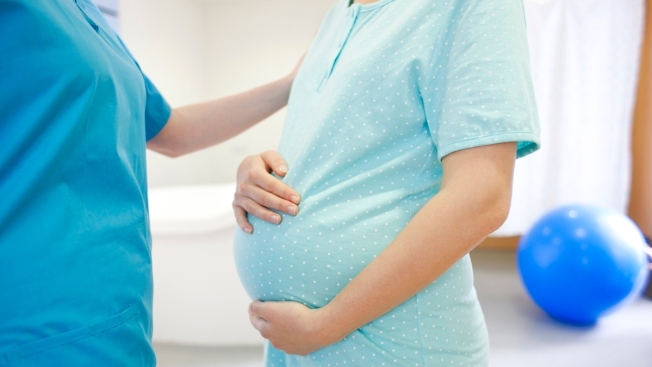 Inducing healthy first-time mothers at 39-weeks pregnant instead of waiting for them to go into labor does not raise the risk of a cesarean delivery, according to a new study. In fact, it lowers it. The results of the study, to be published Thursday in the New England Journal of Medicine, overturn the longtime view that inducing labor raises the risk for a C-section, and prompted two leading OB-GYN doctor groups to say it's now reasonable to offer women like those in the study that option. As NBC News reports, the notion that inductions can lead to C-sections was based on past data comparing a woman who goes into labor spontaneously with a woman who is induced at the same point in her pregnancy — which could be before the 39th week, if complications developed, or when the woman was overdue and had gone past 40 weeks. For the new study, more than 6,100 women at 41 hospitals were randomly placed in two groups: one had labor induced at 39 weeks; the other waited for labor to start on its own and were induced only if a problem developed or they hadn't delivered by 42 weeks. Those induced at 39 weeks had lower rates of maternal and fetal complications, including fewer C-sections (19 percent vs. 22 percent); lower frequent preeclampsia, a potentially dangerous pregnancy condition, and hypertension (9 percent vs. 14 percent); and fewer newborns who needed respiratory support (3 percent vs. 4 percent).